When buying craft wire the last thing one wants to worry about is quality. Buying cotton covered wire from Paramount Wire Co. is the surest way to get top quality. Craft wire is a product that when used correctly will create life in any project. There is no room for second best when displaying your hard work. Our colors are brilliant, and our texture is unmatched. Our covering process allows you to maintain the highest level of confidence in our wire. We can cover wire in any color and in any size. Whether soft or hard tempered, on spools or straightened and cut to your specific needs, when you demand the best, Paramount Wire delivers. 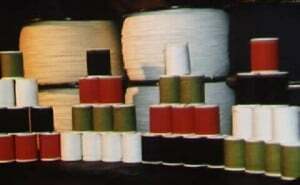 Shown: 40 yard spools and 10# spools. Our craft wire is also available straightened and cut to any length from 1″ to 144″.